This substantial volume resulting from the Tenth International Conference of the Nubian Society held in 2002, surveys the recently discovered antiquities of the Nile Valley and beyond, throughout Egypt and the Sudan. In these numerous archaeological, archaeometrical, and epigraphical discoveries, scientists present new groundwork the understanding of Egypt, not as a lone oasis of civilization, but rather as a key part of a larger ancient world. The original published price was 150 pounds, but it’s been reduced to 19.95. The book’s clearly aimed at academics, but it might be of interest to some ordinary people with an interest in ancient Egypt, Nubia and African civilisations. In addition to the ISIS massacre in France, Islamist terrorists have committed two more atrocities, killing hundreds in Nigeria and Mali. There was a two minute silence for the victims of the Paris attack during the week, with world leaders expressing their horror and outrage. No-one has yet ordered a similar memorial for the victims of the African atrocities, yet their victims are just as worthy of being honoured and commemorated. And like the attacks in France, this is an attack on civilisation. West Africa has been the centre of the some of the most ancient and magnificent African civilisations. Nigerians were working iron several centuries before Europeans due to the natural iron bloom that is found in part of the country. Scholars, artists and connoisseurs have been deeply impressed with the naturalistic skill of the sculptures produced by the Nok culture, and later in the 17th century at Ife. The country also has a pattern of earthworks, the remains of cities dating from the seventh century AD, stretching over an area of about 65 square miles/ kilometres. You’ll have to forgive my vagueness about its exact extent. It’s a long time ago since I read the article about it in New Scientist, which was published about ten or fifteen years ago. Much African history remains obscure, as until the arrival of Islam and exploration and colonisation by the Europeans, most African cultures did not have writing. The exception to this, of course, were Nubia and Abyssinia. Finding archaeological remains of these cultures can also be extremely difficult, as with certain exceptions, like the great Swahili cities in Kenya and the fortress at Zimbabwe, as well as Nubia and Abyssinia, Africans tended to use wood rather than stone for building. The result is that much of the remains of African civilisations has perished over time. Nevertheless, pictures of great African cities produced by European traders and explorers show just how impressive these cities were at their height. Mali too was the centre of a great African civilisation. It was the centre of the Songhai and Mandingo empires, great Muslim states that became synonymous in West Africa with the religion itself. In one of the local languages, the word for to convert to Islam literally meant, to become a Mandingo. One of the main sources of its wealth was control of the gold supply. The country had so much gold, that when its emperor, Mansa Musa, visited Egypt on the hajj, the pilgrimage to Mecca, he distributed so much of it that it caused a recession. The Egyptian traveller, Ibn Battuta, was also impressed with the country’s Muslim piety and high standard of civilisation, when he visited in the 12th or 13th century. He declared that the Malians would be excellent Muslims, if they did not regard White people with such contempt. I can also remember being taught at school in Geography class about the vast economic potential of Nigeria. It could be the world’s richest country from its massive oil wealth, if there wasn’t so much corruption. These were the ancient civilisations, with their own traditions of grandeur, that Boko Haram and the like attacked in the week. Like many people last week, I observed the two minute silence for Paris. 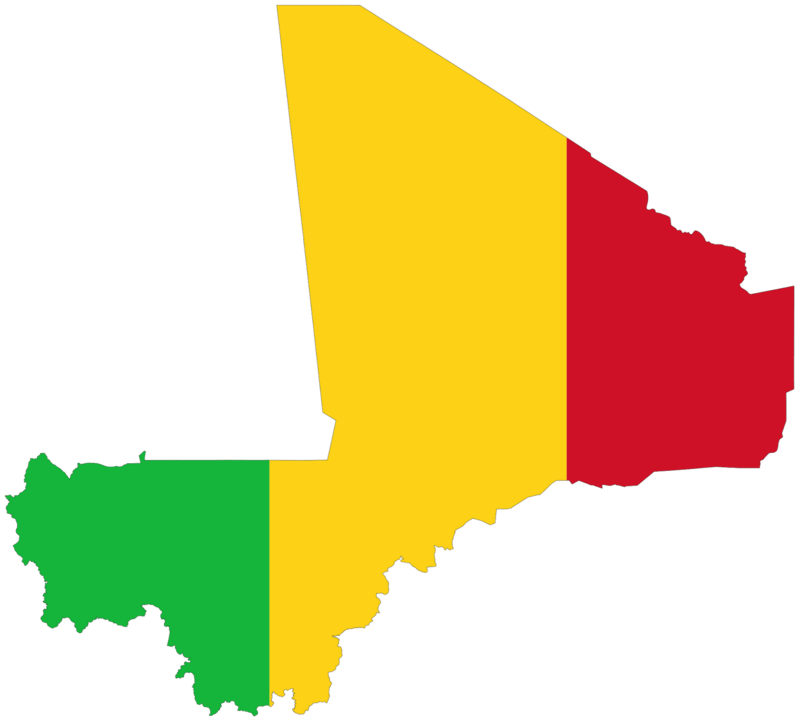 I also stand with the people of Nigerian and Mali against the attacks on the lives and dignity of their citizens and visitors, against the butchers and murderers who attacked them. And they’re just two of the many countries throughout the world that have suffered from the attacks of these monsters. The world and its people must stand together against them, and show that despite differences of language, race, culture and religion, we stand for peace. We must never let them and the other preachers of hate win. 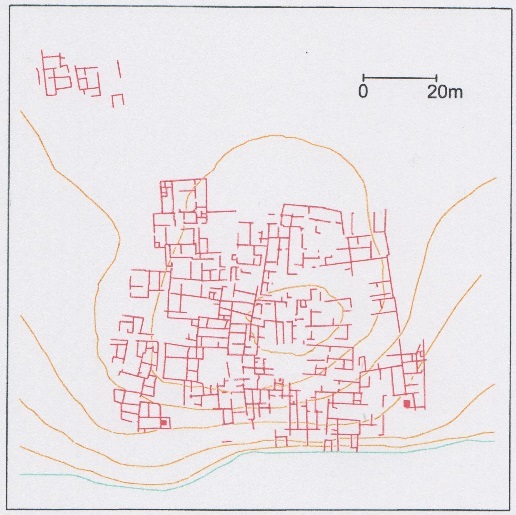 It is possible to date the church and suggest when the alterations to it were made by comparing it to other, similar Nubian churches which also underwent similar architectural changes, such as the Buhen Church near Wady Halfa, and the Church on the Mastaba’ and the Cathedral, both at Faras. The Buhen church had experienced extensive reconstruction during the floor had been raised by 60 cm and its piers and walls had been reinforced by further brick walls. New piers composed of rough stone work had also been built in the nave, where they helped to take the weight supported by the existing pillars, the corner of the southwest chamber, the north side of the sanctuary and the area between the north wall and the northwest pillar. This had been done to balance a similar pattern of walls that had earlier been constructed on the south side of the church. There were also differences between the Buhen Church and that at Arminna West. The nave of the church at Arminna West had included the presbyterium, part of the sanctuary. In the church at Buhen, however, the sanctuary was extended to include part of the nave. It is possible that the Buhen Church may have been built as early as the sixth century or so, as a small painting on wood was found in the fill of the church’s tribune. 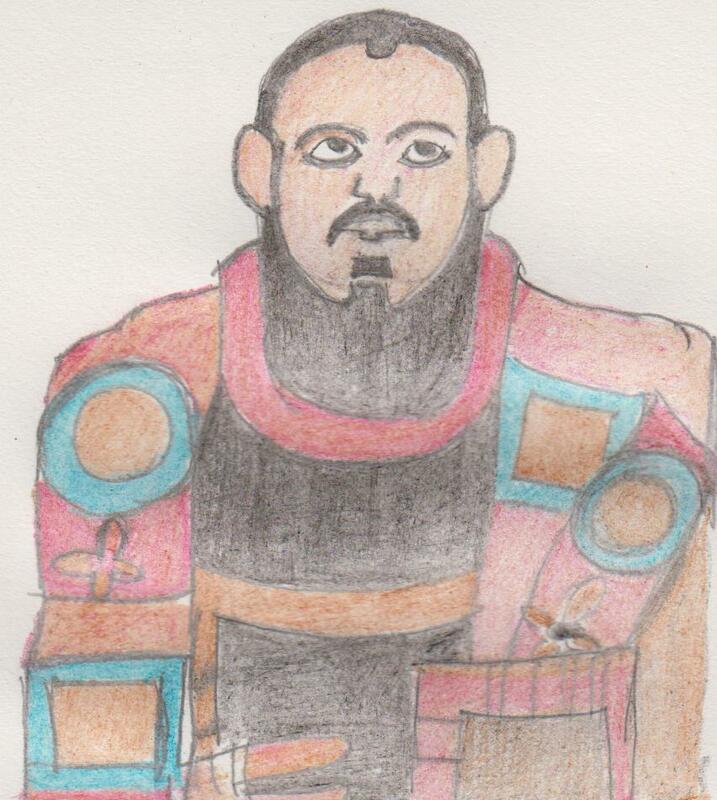 This was very similar in style to Byzantine art of that century. It is not known, however, when the church was rebuilt. This church appears to have been constructed in two phases. It originally had square pillars and wide arches. The width of these arches were later reduced and the building made more solid. The pillars on the west side of the church were enlarged on their east and west sides. The east and facing sides of the two pillars in front of the sanctuary were also added to so that they formed a heavy altar screen like that at Arminna West in the final phases of its development. Unlike the church at Arminna West, the altar was moved further east into the apse when the sanctuary expanded into the nave. The church at Arminna West is closest in its construction and development to the Cathedral at Faras, which underwent two phases of rebuilding according to the Polish archaeologists, who worked on it. It was probably originally built some time around the beginning of the eighth century. It then possessed monolithic granite columns which supported a wooden roof. These were replaced in the tenth century by large brick piers and a vaulted roof. Some time after this, probably in the twelfth century, mud brick walls or screens, on a foundation of debris from older, demolished stone structures, were built between the pillars separating the aisles from the nave. On the north side of the sanctuary the screen were two metres high. They were much higher on the south side, however, to block the greater amount of light that came in from that side. The archaeologists excavating the church believed that the church had been rebuilt due to decay or damage inflicted during raids. The changes to the fabric of Faras Cathedral may also have been due to general changes in church architecture. In Egypt Ibn Sebba issued a decree commanding all flat roofs to be replaced by vaulted roofs. This change to the structure of the roof also required that the supporting piers should be strengthened. This decree also affected the churches in Nubia. If the other churches were also rebuilt at the same time as Faras Cathedral, then the two phases of rebuilding in the church at Arminna West would also date to the tenth and twelfth centuries. The Coptic stela with its date of 920 suggests that this was also the date of the first phase of the church’s reconstruction. The church at Arminna West is also similar to a type of Early Nubian church described as Meinarti Type 1c. 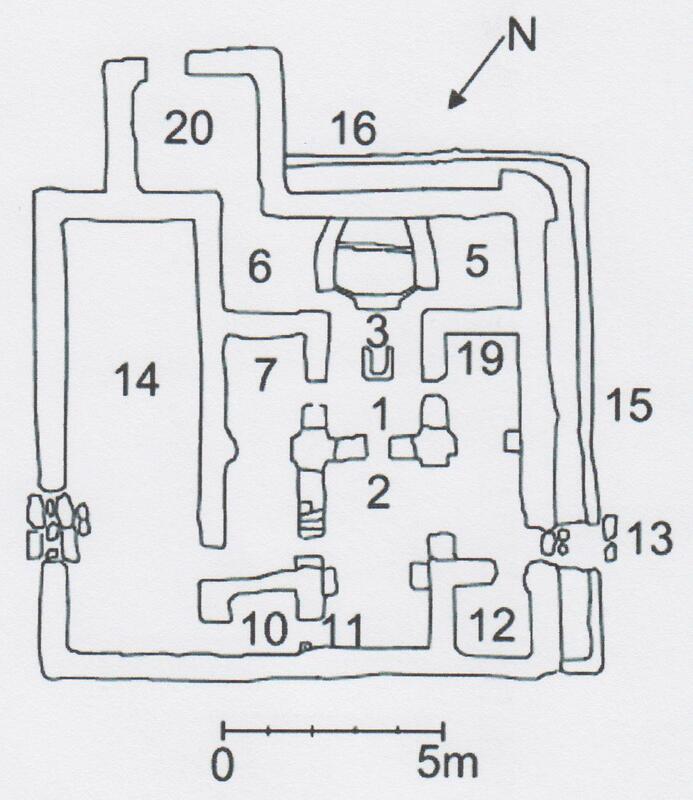 William Y. Adams, who developed this typology of Nubian churches, considered that the inclusion of part of the nave as well as the apse in the sanctuary indcated that the church had been built in some time in the eighth century. It was unlike the other churches of Meinarti Type 1c in that these had relatively long apses in which the sanctuary was confined. The church at Arminna West, however, had doorways connecting the sanctuary directly with the two sacristies, which did not exist in the other churches of that type. Churches of Meinarti Type 1c also had vaulted roofs. No direct evidence for the type of roof had survived in the church of Arminna West. The brick pillars, on the other hand, suggest that the roof was also composed of brick. If the church was constructed at the date suggest by Adams, then it would have been contemporary with the Early Christian village there and probably the Christian cemetery. Adams considered that after the church at Arminna West was rebuilt, it was broadly similar to churches of Faras Type 2a construction, though there were also striking differences. The reinforcement of the piers, replacement of the wooden altar screen by one of mudbrick, and the rebuilding of the roof so that it was vaulted rather than flat were all typical of Type 2a churches. Where the church at Arminna West differed from the other churches of this type was in the removal of the door between the north sacristy and the aisle. In the other churches of Type 2a the doors removed were those from the apse to the sacristies. Adams believed that there was a connection between the blocking of the door between the aisle and the north sacristy, and the construction of the room at the north end of the church. The styhle of church architecture described as Type 2a by Adams lasted from 700 to 1150 AD. Early Nubian churches were decorated with stone carvings, while Classic Christian churches were only decorated with wall paintings. The traces of wall paintings discovered at Arminna West were either in the side chapel or belonged to the later phases of the church’s construction. Bruce Trigger, who excavated the church at Arminna West, believed that the original triumphal arch was replaced by one in red sandstone before the last phase of the church’s rebuilding. He considered that this could have taken place as part of the alterations in the tenth century. It may also have occurred somewhat earlier or later. Trigger was strongly influenced in his dating of the church at Arminna West by Adam’s observations, which he concluded were basically in agreement with his own. He thus believed the church had been constructed in three phases as follows. This was when the church was first built, probably in the eighth century. The church was probably built at the same time the Early Christian settlement at Arminna West it served, was founded. This was when the church was rebuilt in the classic Christian style, possibly in the tenth century. By this time the town of Arminna West had become a nucleated settlement – that is, a distinct town, rather than a collection of isolated farms and homesteads – south of the church. There was a cemetery between the church and the river, that was still in use. The church may have been maintained as part of the cemetery and its functions. The altar screens were modified in two phases. It is the church as it was in this phase of its history that it shown in the reconstruction I included in my last blog post. This reconstruction does not show the windows, nor the room built at the western end of the church. This was the last phase of the church’s existence. Over a metre of debris was found in the church, probably deposited during the late twelfth century. The church was either used for crude religious purposes, or had been completely abandoned to secular occupation. 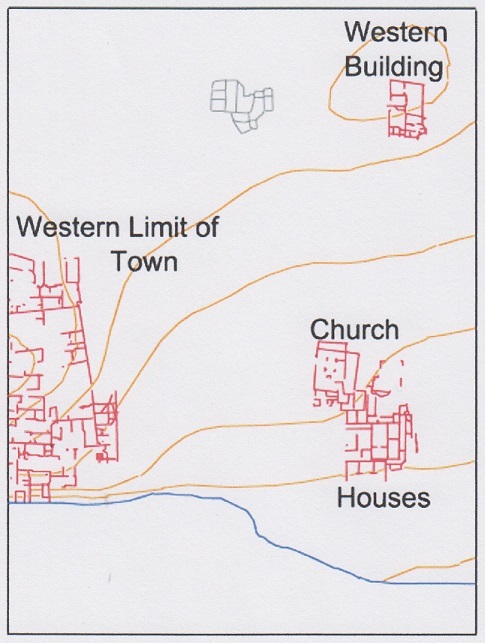 The Classic Christian village at Arminna West had been abandoned and there were few other indications that the wider area was settled. It is therefore believed that the area was largely deserted. It’s a sad end to a formerly prosperous community and its church. Bruce G. Trigger, The Late Nubian Settlement at Arminna West (New Haven and Pennsylvania: The Peabody Museum of Natural History of Yale University/ the University Museum of the University of Pennsylvania 1967). 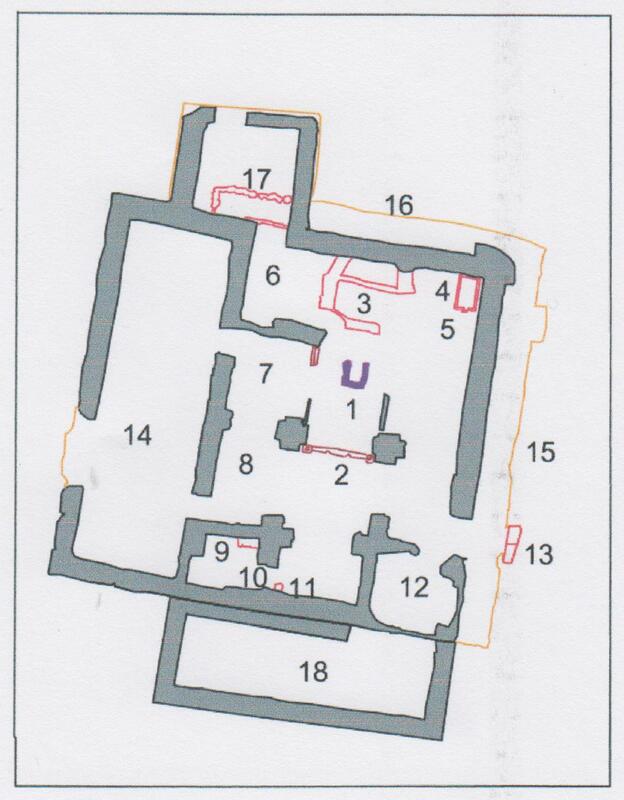 Despite its great age, the ground plan of the church at Arminna West had survived almost completely intact except for the south sacristy when it was examined by archaeologists in the three years from 1961 to 1963. The surviving walls were mostly under a meter in height. Nevertheless, the excavators were able to reconstruct much of its original structure and history. 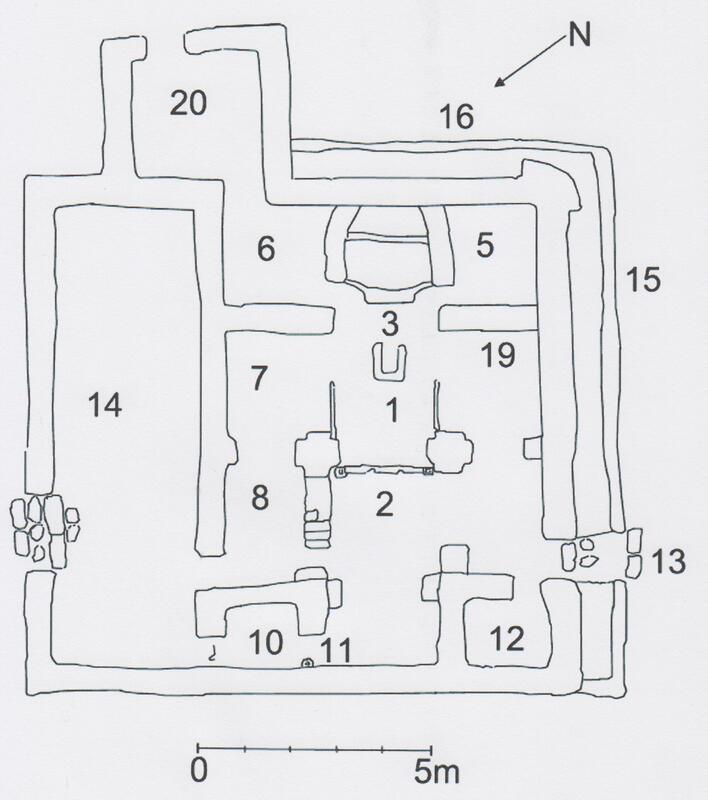 A diagram of of the church as it was found by the archaeologists is shown below. South is in the top right hand corner. The church was originally 11.25 meters long, but the east and west side were both of different widths. The east side was 8.1 meters while the west end was 8.4 meters. The walls were composed of mudbrick. 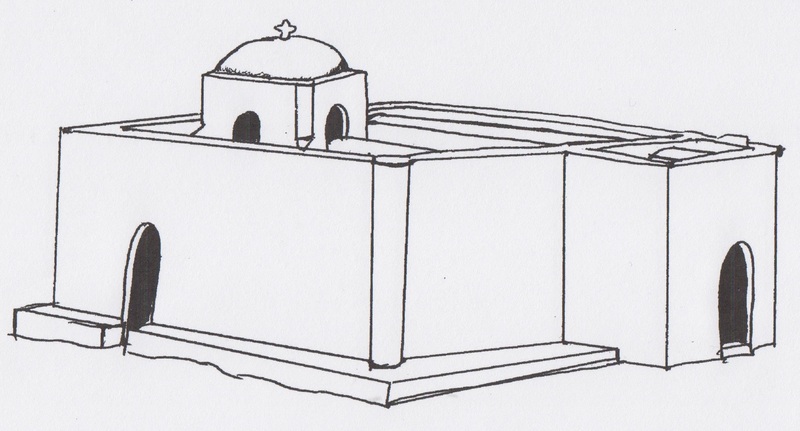 The church had an altar (1), which may have had a wooden top, such as those at Ar-Rammal, the northern church near Adindan and Church on the Mastaba at Faras. In front of this were two mud brick pillars (2). Running between them was the stone base for an altar screen. The sill for another altar screen was found on the north side of the altar. The groove for a third screen ran from the north pillar to the north wall, separating the vestibule from the north aisle. It also had an apse, consisting of two curving brick walls on the east side of the church (3). Flanking this were the south and north sacristies (5 and 6 respectively). The south sacristy was probably a baptistry. It held a sandstone font in its south-east corner. This was rectangular, but with an uneven base. Near its front end it had a stone spout and a hole in the bottom, which was lined with lead. This probably held the pipe that drained the font. The font was originally covered with pink plaster. West of the north sacristy was the vestibule. South of this was the ambo or pulpit (8). 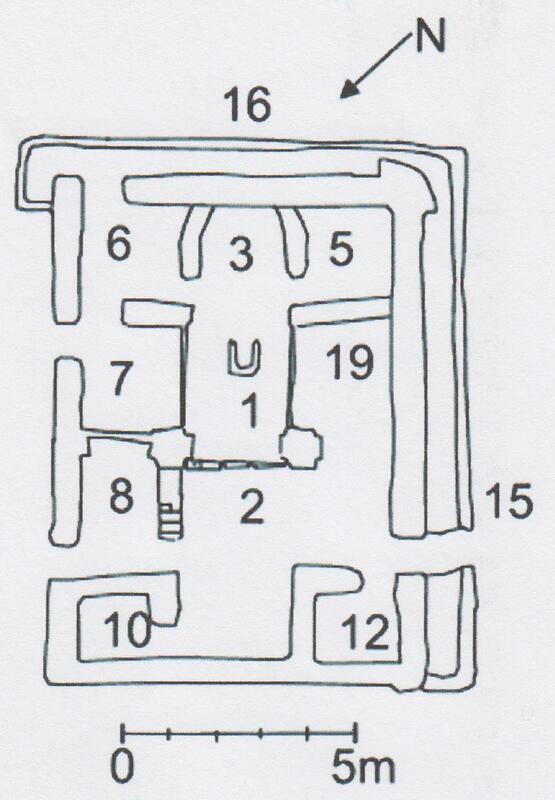 There were two chambers either side of the nave (10 and 12), with the socket for a door at the entrance to the northwest chamber (11). The room held steps or a low bench (9). It also held a platform of brick and stone to take a stairway. This would either have led to the roof to a second storey, though this unlikely given the church’s small size. Two small pieces of parchment with the remains of a text in Coptic were found in this room, suggesting that it had been a scriptorium. There was a side chapel on the north side of the church (14). This room had had a barrel-vaulted roof, which, along with its walls, had been covered in paintings. Running along the church’s south and east sides was a low mastaba (15 and 16). This had been cut through for a passage to the south entrance with a stone sill (13). The building also had an annex containing a low bench on its northeast side (17). Only one other room like this to have been found is at the church at Ukma. The low bench suggests it is an extension of the north sacristy, though it is not really known what it was used for. Built on to the church’s west end was another room (18). Like room 17, it is not known what this room was used for, although it is believed that it was used for some purpose associated with the church. Although the walls were cleared, the room itself was not excavated. The church was basilican in form, but had been gradually modified and altered during the centuries it was in use. The archaeologists excavating the church believed that it had been built in three phases, which will be examined in the next post.